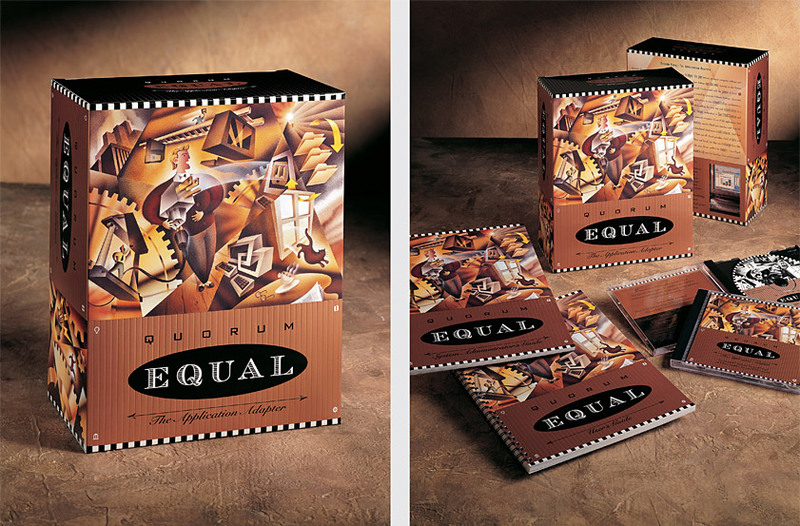 Quorum Equal is an application adapter software program which enables users to seamlessly run Mac applications on Windows platforms. Our solution metaphorically illustrates the multiple product benefits as a virtual burst of activity, conveying the power and versatility of a truly innovative, breakthrough product within the software industry. The use of metallic copper and embossed ribbing create an distinctive, upscale positioning of high quality and value.